In November, Mrs. Shoo and I celebrated seven years together. Yes really. Seven. 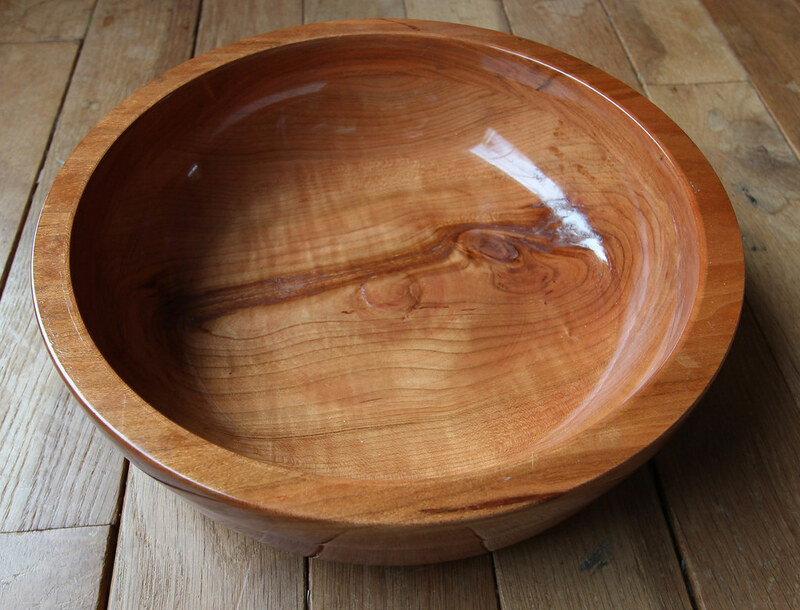 I don’t know what the traditional gift is for seven years, but I gave her a hand crafted wood bowl. A friend / coworker had been showing his recent wood working skills. 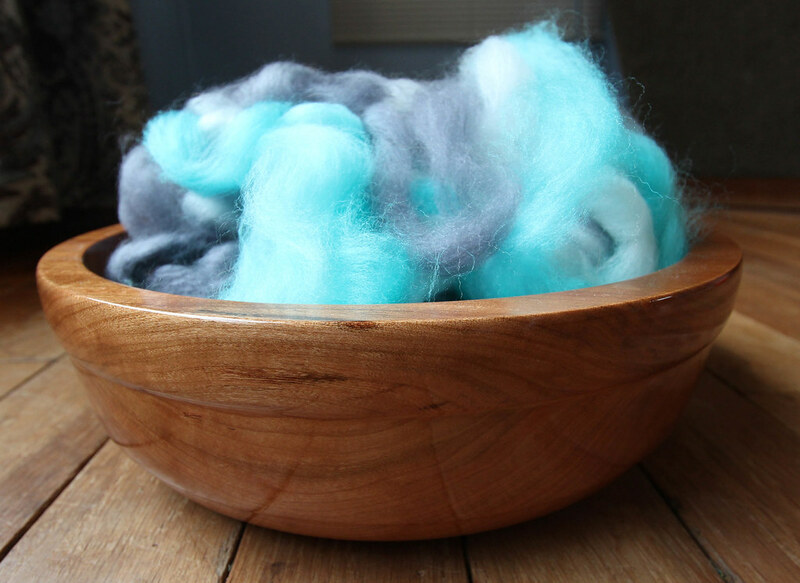 Always liking something that you can’t buy off a shelf, I asked him to make a bowl. He lathed it from a single piece of wood. I can’t remember if it is Cherry or Walnut, but either way it looks fantastic. 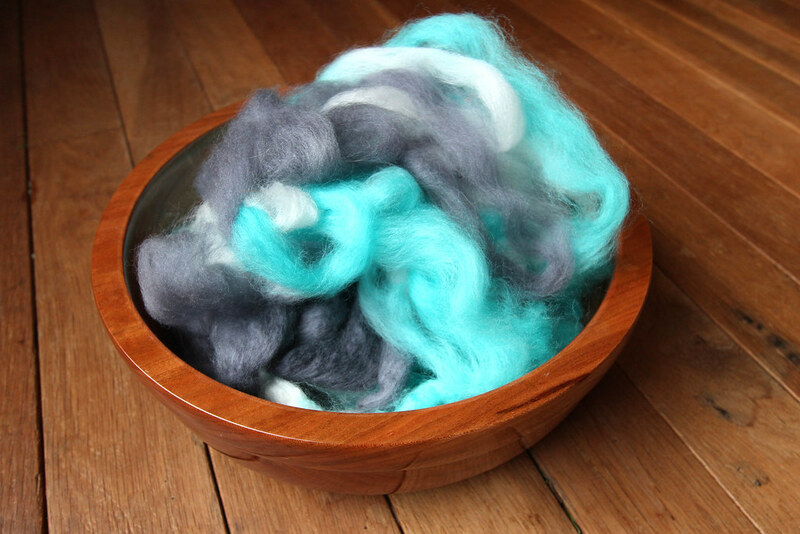 Below I have some of Mrs. Shoo’s loose fiber that she uses for spinning yarn.